This is perfect for smaller children to cut out. Just have them color the bee first and then cut the pictures out. 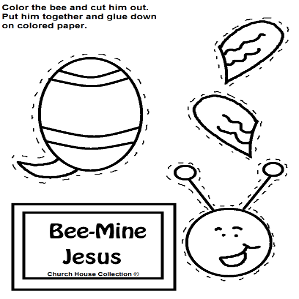 Have them assemble and put the bee together on a colored construction paper. Have them tape it or glue it down. You could let them draw a scenery in the background or leave as is. See all of our Valentine's Day stuff. 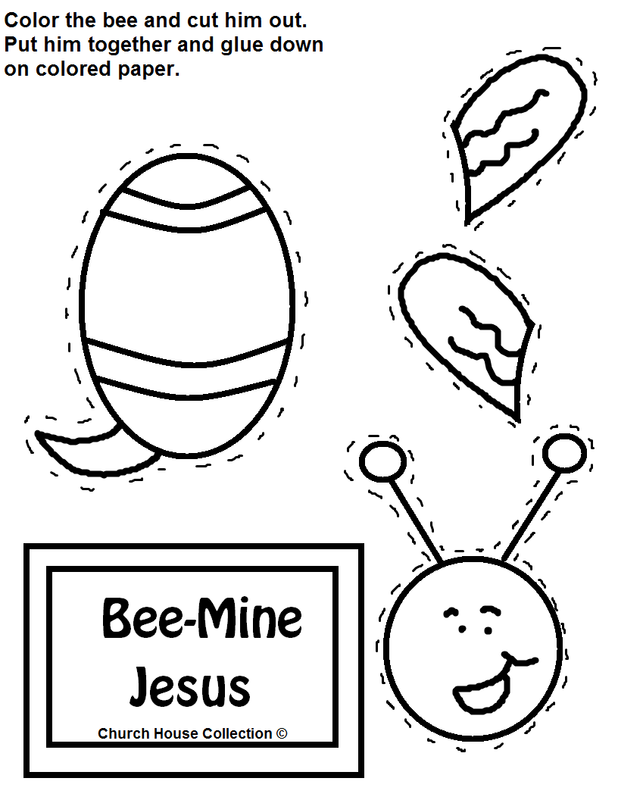 We have crafts, coloring pages, games, printables, clipart and more.